What is the meaning of Rule of Law? The courts play an integral role in maintaining the rule of law, particularly when they hear the grievances voiced by minority groups or by those who may hold minority opinions. Equality before the law is such an essential part of the American system of government that, when a majority, whether acting intentionally or unintentionally, infringes upon the rights of a minority, the Court may see fit to hear both sides of the controversy in court. Is the U.S. Constitution compatible with the rule of law? If we didn’t have independent courts would we have rule of law? Explain whether the Trump administration tested the principle of the rule of law? 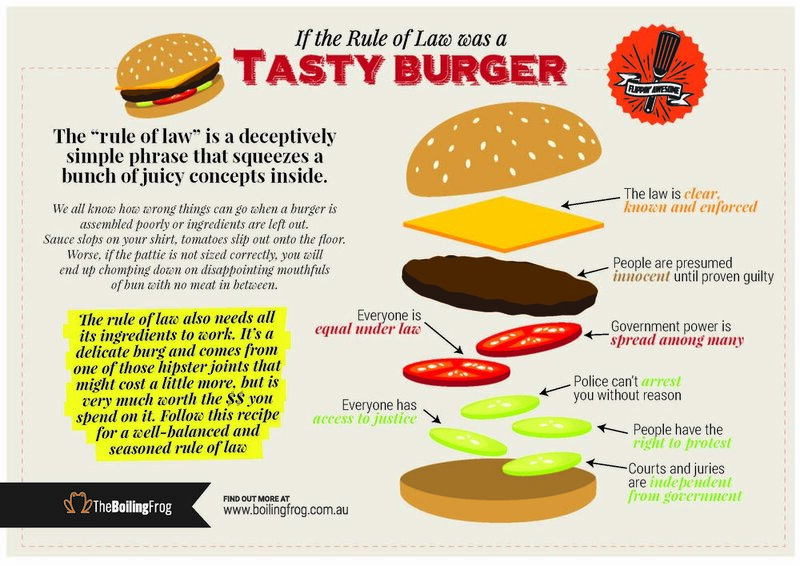 Would you rather have rule of law or rule of slaw? Now draw rule of law! Take 10 or 20 seconds. That’s all you need. Nothing fancy. Don’t expect a masterpiece. Draw with symbols or stick figures if you wish. Now Look at your drawing. You’ve got it. That’s all. What is the significance of Gideon v. Wainwright? Gideon v. Wainwright, 372 U.S. 335, is a landmark case in United States Supreme Court history. In a unanimous decision, the Supreme Court established that the Fourteenth Amendment creates a right for criminal defendants who cannot pay for their own lawyers to have the state appoint attorneys on their behalf. Gideon v. Wainwright is the reason that every time you get arrested and charged with a felony you are provided with a lawyer, if you cannot afford one. What is the Constitutional basis for the ruling in Gideon v. Wainwright? What was the most significant consequence of the ruling in Gideon v. Wainwright? Describe the connection between selective incorporationand Gideon v. Wainwright. How different would the U.S. be without the Gideon v. Wainwright ruling? Do you think the ruling in Gideon v. Wainwright was a good ruling? Now draw Gideon v. Wainwright! Take 10 or 20 seconds. That’s all you need. Nothing fancy. Don’t expect a masterpiece. Draw with symbols or stick figures if you wish. Now Look at your drawing. You’ve got it. That’s all. What do you think Federalist No. 70 is about? Use Federalist No. 70 in a sentence that wouldn’t bring tears to your GoPo teacher’s eyes. For example, don’t write: Federalist No. 70 was right after Federalist No. 69. Federalist No. 70: The Federalist Papers were a series of eighty-five essays urging the citizens of New York to ratify the new United States Constitution. Written by Alexander Hamilton, James Madison, and John Jay, the essays originally appeared anonymously in New York newspapers in 1787 and 1788 under the pen name "Publius." Federalist No. 70, written by Alexander Hamilton addresses the necessity of a strong executive to lead the government. Federalist No. 70 argued that under the Articles of Confederation our government had no strong executive and that the Constitution remedied that by creating a strong Presidency in Article II of the Constitution. What was the main point Publius made in Federalist No. 70? Imagine that we did not have a strong executive branch. Describe how that would impact American politics. Now draw Federalist No. 70! Take 10 or 20 seconds. That’s all you need. Nothing fancy. Don’t expect a masterpiece. Draw with symbols or stick figures if you wish. Now Look at your drawing. You’ve got it. That’s all. What do you think the Eighth Amendment means? Use Eighth Amendment in a sentence. Eighth Amendment: The Eighth Amendment to the United States Constitution states: “Excessive bail shall not be required, nor excessive fines imposed, nor cruel and unusual punishments inflicted.” This amendment prohibits the federal government from imposing unduly harsh penalties on criminal defendants, either as the price for obtaining pretrial release or as punishment for crime after conviction. Because of the Eighth Amendment, the punishment must fit the crime and the federal government is constitutionally prohibited from imposing overly harsh punishments such as torture or forcing anyone to watch Dirty Grandpa (2016). What makes a punishment “cruel”? Who decides the meaning of “cruel”? What punishment was ruled unconstitutional -for four years - based on the Supreme Court’s interpretation of the 8th Amendment in Furman v. Georgia? Timbs v. Indiana incorporated the Excessive Fines Clause of the VIII Amendment on February 20, 2019. What does “incorporated,” mean? Explain whether you believe the following image is a result of the VIII Amendment. Now draw the Eighth Amendment! Take 10 or 20 seconds. That’s all you need. Nothing fancy. Don’t expect a masterpiece. Draw with symbols or stick figures if you wish. Now Look at your drawing. You’ve got it. That’s all. What do you think expressed powers means? 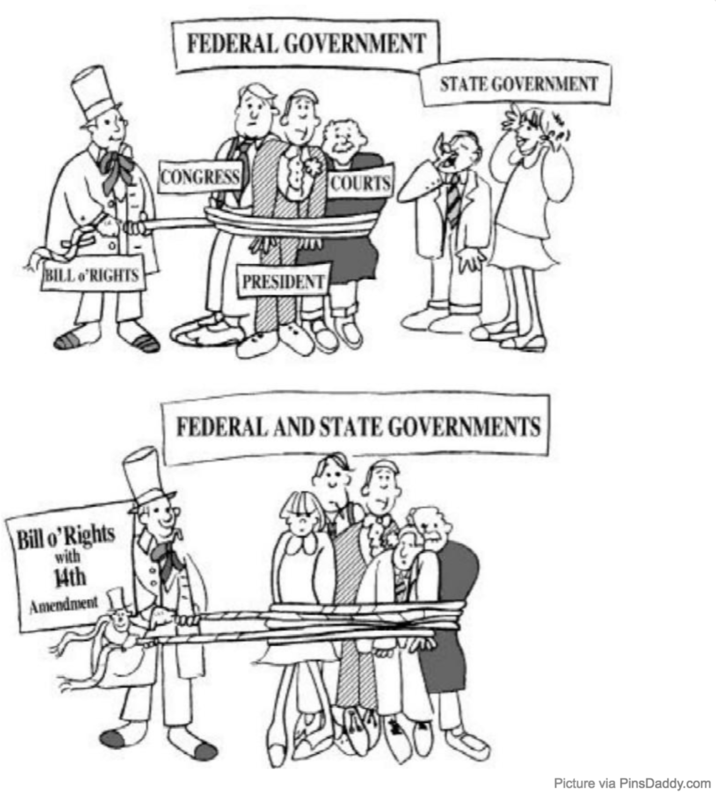 Article I, Section 8 of the U.S. Constitution lists the expressed powers of the federal government. Powers explicitly named in the Constitution and granted to the federal government. In Article I, Section 8, the Constitution lists the expressed powers. They're sometimes called delegated powers, sometimes called the enumerated powers. They all mean the same things: powers that are actually put down on paper. What is the difference between expressed powers and implied powers? What would happen to the power of the federal government if we deleted Article I, Section 8 of the Constitution? What allows Congress and the President to do things which are not expressly named in the Constitution? Expressed Powers Video at Khan Academy. What do you think Virginia Plan means? Use Virginia Plan in a GoPo type of sentence: Please do not write, "Virginia made a plan." That would make me mad. Especially if you posted it to the comments section below. Virginia Plan: At the Constitutional Convention in Philadelphia in 1787, there was a great debate over how representatives to the new government would be selected: the same number per state, or a certain number per state based upon the state’s population. The Virginia Plan (also known as the Large-State Plan by silly people) was a proposal at the Constitutional Convention by delegates from Virginia. Drafted by James Madison, and presented by Edmund Randolph to the Constitutional Convention on May 29, 1787, the Virginia Plan proposed a strong central government composed of three branches: legislative (bicameral), executive, and judicial. The Virginia Plan was an attempt by the large states to guarantee that large states like Virginia had political power equal to their large population. There really is no example of the Virginia Plan in current events...So enjoy...It's a Trap! If you can find one and post a link to it on the comments section below, I will be very impressed! What was the main reason the Virginia Plan was proposed? What part of our current political system is a direct consequence of the Virginia Plan? Have you ever been to Virginia? Why didn’t you stop? Imagine that the Virginia Plan never existed, there had not been any Connecticut Compromise, and the New Jersey Plan had been the way we elected all of our representatives. How would that have changed America? If you had to start the country over and choose between a New Jersey Plan style government by the states, or a Virginia Plan style government by the people, which would you choose and why? Now draw The Virginia Plan! Take 10 or 20 seconds. That’s all you need. Nothing fancy. Don’t expect a masterpiece. Draw with symbols or stick figures if you wish. Now Look at your drawing. You’ve got it. That’s all. What do you think spoils system means? Use spoils system in a sentence. Spoils system: "The Spoils System" was the name given to the practice of hiring and firing federal workers when presidential administrations changed in the 19th century. The practice began during the administration of President Andrew Jackson, who took office in March 1829. Jackson supporters portrayed it as a necessary and overdue effort at reforming the federal government. Jackson's political opponents had a very different interpretation, as they considered his method to be a corrupt use of political patronage. And the term Spoils System was intended to be a derogatory nickname. The phrase came from a speech by Senator William L. Marcy of New York. While defending the actions of the Jackson administration in a speech in the U.S. Senate, Marcy famously said, "To the victors belong the spoils." Who benefited from the spoils system? What was a negative consequence of the spoils system? What was the main reason the U.S. government ended the spoils system? What was the spoils system replaced with? What would America be like if we returned to a spoils system? Now draw Spoils System! Take 10 or 20 seconds. That’s all you need. Nothing fancy. Don’t expect a masterpiece. Draw with symbols or stick figures if you wish. Now Look at your drawing. You’ve got it. That’s all. What do you think socialism means? Use socialism in a sentence. Socialism: an ideology that cherishes equality. The means of production are managed by the working people, and there is a democratically elected government. Central planning distributes common goods, such as mass transit, housing, and energy, while the free market is allowed to distribute consumer goods. You can take this nifty short quiz to find out if you are a social democrat. Whether you like it or not, socialism is back in fashion and it is gaining support among America’s youth. A recent YouGov survey found that 43 percent of respondents under the age of 30 had a favorable view of socialism. Only 32 percent had a favorable view of capitalism. What is one thing an American socialist would strongly believe in? What is the difference between liberalism and socialism? Can you list one well known American socialist? In what ways are your beliefs similar to and different from Socialism? What would be one major policy an American socialist would advocate? Now draw Socialism! Take 10 or 20 seconds. That’s all you need. Nothing fancy. Don’t expect a masterpiece. Draw with symbols or stick figures if you wish. Now Look at your drawing. You’ve got it. That’s all. What is the significance of Baker v. Carr? Baker v. Carr, 369 U.S. 186, was a landmark United States Supreme Court case from 1962 that established the right of federal courts to review redistricting issues, which had previously been termed "political questions" outside the courts' jurisdiction. The Court’s willingness to address legislative reapportionment in this Tennessee case paved the way for the “one man, one vote” standard of American representative democracy. What is the Constitutional basis for the ruling in Baker v. Carr? What was the most significant consequence of the ruling in Baker v. Carr? What other landmark cases revolve around the question of redistricting? How different would the U.S. be without the Baker v. Carr ruling? 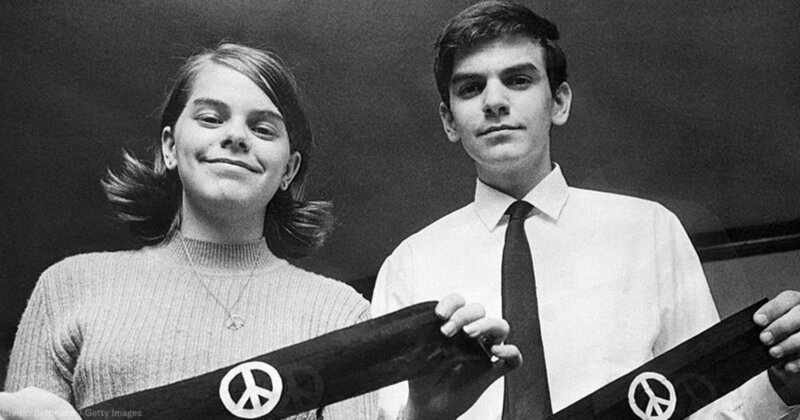 Do you think the ruling in Baker v. Carr was a good ruling? Now draw Baker v. Carr! Take 10 or 20 seconds. That’s all you need. Nothing fancy. Don’t expect a masterpiece. Draw with symbols or stick figures if you wish. Now Look at your drawing. You’ve got it. That’s all. Roe v. Wade 410 U.S. 113 (1973), is a landmark decision issued in 1973 by the United States Supreme Court on the issue of the constitutionality of laws that criminalized or restricted access to abortions. The Court ruled 7–2 that a right to privacy under the Due Process Clause of the 14th Amendment extended to a woman's decision to have an abortion, but that this right must be balanced against the state's interests in regulating abortions: protecting women's health and protecting the potentiality of human life. Roe v. Wade has been one of the most controversial rulings in the history of the U.S. Supreme Court. More than forty years after the decision, It continues to be a major issue in American political elections. What is the Constitutional basis for the ruling in Roe v. Wade? What was the most significant consequence of the ruling in Roe v. Wade? What cases before Roe served as precedent for the Roe v. Wade ruling? How different would the U.S. be without the Roe v. Wade ruling? Do you think Roe v. Wade will be overturned? Now draw Roe v. Wade! Take 10 or 20 seconds. That’s all you need. Nothing fancy. Don’t expect a masterpiece. Draw with symbols or stick figures if you wish. Now Look at your drawing. You’ve got it. That’s all. What do you think The U.S. Constitution is about? Use The U.S. Constitution in a sentence that might help get you a date to the prom. The U.S. Constitution: The Constitution of the United States established America's national government and fundamental laws, and guaranteed certain basic rights for its citizens. It was signed on September 17, 1787, by delegates to the Constitutional Convention in Philadelphia. The present United States Constitution replaced the Articles of Confederation on March 4, 1789. The United States Constitution is an amazing document. A bold experiment in democracy more than 200 years ago, it has proved both stable and flexible enough to survive and remain effective in a world totally different from the one in which it was written. What set the rules of our government before the Constitution? Why did the Framers write the Constitution? Why do you think the Constitution has been able to survive for so long? What is your favorite legislative, executive, or judicial power in the Constitution? Now draw The U.S. Constitution! Take 10 or 20 seconds. That’s all you need. Nothing fancy. Don’t expect a masterpiece. Draw with symbols or stick figures if you wish. Now Look at your drawing. You’ve got it. That’s all. What do you think bureaucratic rule-making means? Bureaucratic Rule-Making: The federal bureaucracy makes rules that affect how programs operate, and these rules must be obeyed, just as if they were laws. The rule-making process for government agencies occurs in stages. After Congress passes new regulatory laws, the agency charged with implementing the law proposes a series of rules, which are published in the Federal Register. Interested parties can comment on the rules, either at public hearings or by submitting documents to the agency. After the agency publishes the final regulations, it must wait sixty days before enforcing those rules. During that time, Congress can review and change the rules if it desires. If Congress makes no changes, the rules go into effect at the end of sixty days. Here’s how the bureaucratic rule-making process is laid out in the Federal Register. While bureaucrats writing regulations and rule-making may seem like a violation of the separation of powers fundamental to the American government, federal agencies may enact rules solely within the statutory authority granted to them by Congress. These administrative laws allow regular citizens to have a greater influence on regulations that could directly impact them. Citizens are given opportunities to propose rule language and comment on language agencies propose. Should the executive branch be making rules? Isn’t that the legislative branch’s job? What would happen to the American policy-making system if bureucratic rule-making were outlawed? In what way is bureaucratic rule-making democratic and in what way is it not? Now draw bureaucratic rule-making! Take 10 or 20 seconds. That’s all you need. Nothing fancy. Don’t expect a masterpiece. Draw with symbols or stick figures if you wish. Now Look at your drawing. You’ve got it. That’s all. What do you think White House Staff means? Use White House Staff in an unprecedentedly fantastic sentence. The White House Staff is an entity within the Executive Office of the President of the United States. The White House Office is headed by the White House Chief of Staff, who is also the head of the Executive Office of the President. The White House Staff advise the president and help the president carry out his responsibilities. Over most of U.S. history cabinet secretaries have been among the most important formal advisers to presidents, and they exercised important managerial roles in implementing government policies and programs. With the large expansion of the government’s role in the economy in reaction to the Great Depression, Congress provided authority for the creation of the White House staff, which was formalized in the creation of the Executive Office of the President in 1939. The official White House staff began with six advisers to the president, but Presidents Truman and Eisenhower continued to rely heavily on their cabinet secretaries for policy advice. President Obama continued the 20th century trend of centralizing control in the White House staff, ensuring the frustration of cabinet secretaries. What is the primary job of the White House Staff? Must embers of the White House Staff be confirmed by the Senate? Who hires and fires the White House Staff? How is the White House Staff different from the Cabinet? Now draw the White House Staff! Take 10 or 20 seconds. That’s all you need. Nothing fancy. Don’t expect a masterpiece. Draw with symbols or stick figures if you wish. You could just draw an org chart of who is in the staff. Now Look at your drawing. You’ve got it. The White House Staff. That’s all. You won! What is the significance of U.S. v. Lopez? U.S. v Lopez was a 1995 landmark Supreme Court case that limited the use of the Commerce Clause. The (5-4) verdict ruled that the Gun-Free School Zones Act of 1990 was unconstitutional because the U.S. Congress, in enacting the legislation, had exceeded its authority under the commerce clause. When the Gun-Free School Zone Act was passed in 1990, there were few limits on the Congress’s use of the Commerce Clause as the constitutional basis for regulation. List some other significant Supreme Court cases that deal with the powers of the Commerce Clause. What was the most significant consequence of the ruling in U.S. v. Lopez? In what was has the ruling in U.S. v. Lopez impacted your and your education? How different would the U.S. be without the U.S. v. Lopez ruling? Now draw U.S. v. Lopez! Take 10 or 20 seconds. That’s all you need. Nothing fancy. Don’t expect a masterpiece. Draw with symbols or stick figures if you wish. Now Look at your drawing. You’ve got it. That’s all. What do you think linkage institution means? Linkage Institution: are informal groups that connect citizens to the government. They are not officially a part of the government, but are vital to maintaining democracy. These groups in American politics include the following: Political Parties, Campaigns + Elections, Interest Groups, and the Media. There is some argument about which linkage institution does the best job of connecting citizens to the government, but it is clear that without the media, there would be a dangerous lack of knowledge of what the U.S. government is doing. Which linkage institution do you think pays the most vital role in preserving democracy? Why is Congress not considered a linkage institution? Do you feel like linkage institutions are more empowering to the citizens or to the government? If we lived in a direct democracy in a very small country would we need linkage institutions? Imagine a country without linkage institutions and evaluate the level of democracy that would be possible? Now draw Linkage Institutions! Take 10 or 20 seconds. That’s all you need. Nothing fancy. Don’t expect a masterpiece. Draw with symbols or stick figures if you wish. Now Look at your drawing. You’ve got it. That’s all.